I've never been a full-time blogger, I don't think I ever will be, I don't even know if I would ever honestly want to be one. 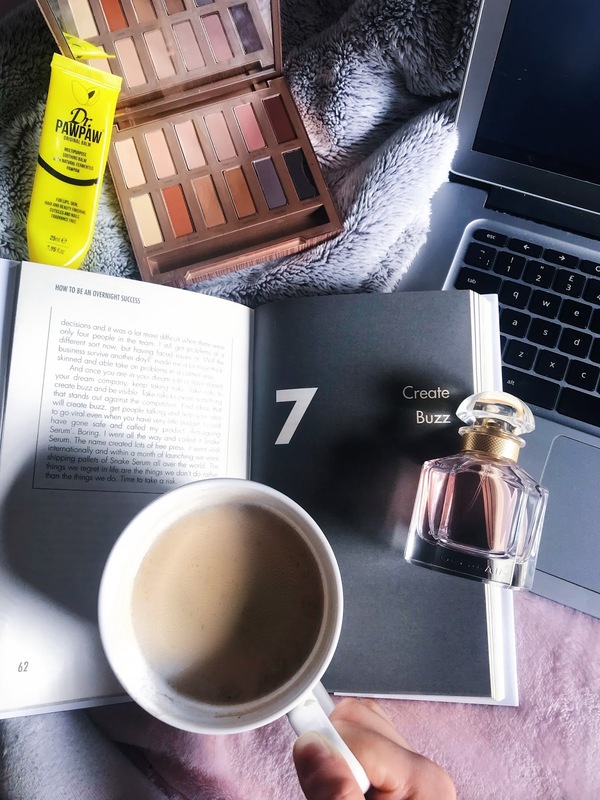 What I do know is that I adore blogging, I've always had this thing for writing, I loved English in school, all the way from primary one until high school, going into college I was sure I wanted to be a journalist, so blogging comes naturally to me. I am often complimented by teachers, lecturers and support staff alike for my eloquent writing skills, my ability to make essays flow and somehow not look chunky or rushed. So for me, it is a no-brainer, of course, I want to write my blog constantly, but I don't have the opportunity to do that. I am doing my master's degree, a pretty heavy course with a lot of work and a lot of essays and since I have my eyes set on a distinction I focus a huge amount of my free time on doing my work, perfecting my essays and making sure I have the ability to get good grades. 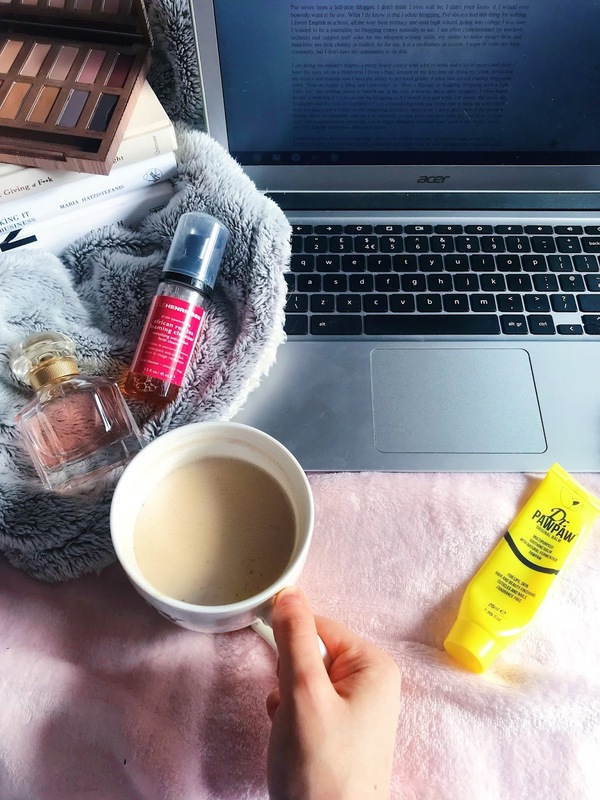 I often find myself reading blog posts titled "How to Juggle a Blog and University" or "How I Manage to Juggling Blogging with a Full-Time Job" but nothing seems to benefit me in the way it benefits these other bloggers. I often found myself wondering if I was cut out for blogging or if I should just quit while I'm ahead, the stress, the headaches and the lack of confidence I was accumulating from not being able to keep up with others were too much and I found myself comparing myself to others a lot. I guess that's part of the problem though, there are hundreds, and yes it is hundreds, of blog posts out there with tips and tricks to help your time management to encourage you to juggle blogging alongside your work or university, but no one ever actually admits how difficult it can be. I found myself so down about my blog I didn't even want to open my social media apps on my phone because I knew I would find myself comparing how bad I was at time management compared to everyone else. It's not true though, everyone struggles and I want others going through this to know that. I spend the majority of my time either at uni, working on university stuff or spending time with my nearest and dearest because those are the things that are most important to me. 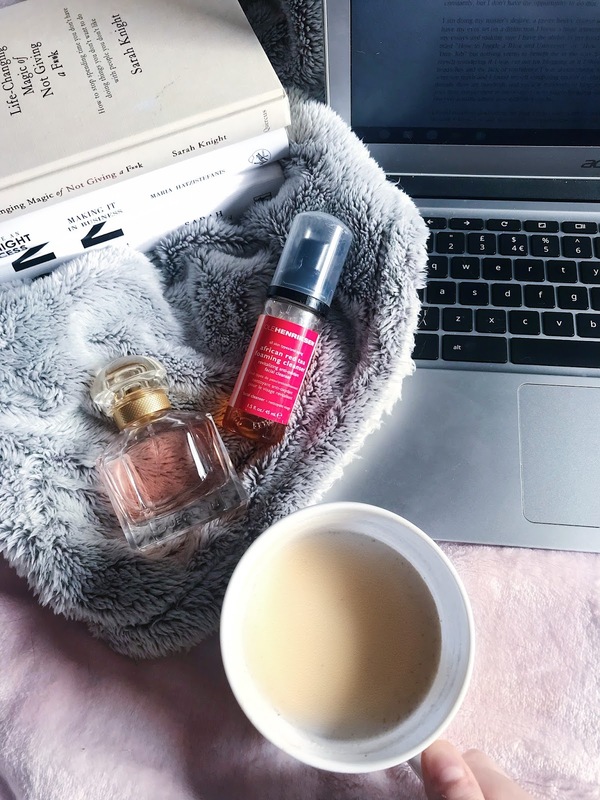 My blog is usually among those three, but I just found it hard to squeeze blogging into my schedule, I would be at university so late that by the time I got home I all I wanted to do was get the work ready for the next day, shower, eat and sleep. For me, it got even worse, as a perfectionist, I find it so incredibly difficult to post anything that isn't up to my standard on my blog or send in essays that weren't living up to my standard of perfect work. So when I was getting time to write, schedule and edit blog posts I would actually end up not posting them because once I read them back over I hated them. I could have slacked off on my university work, but then I would probably not get the distinction I am aiming for and I'd feel like I failed myself. I could have stayed up later every night getting the blog posts ready but then I'd barely sleep and make myself unwell. The only option I seemed to have was to allow my blog to take a little dip into shallow waters, sink a little just until I had enough time to patch up the sail and get back out there and back in the race. No one ever tells you how stressful it can be to find that time, to juggle your passion with your future or your career, it is all made to be smooth sailing filled with schedules, coffee and dedication, but if you fail a little, if you allow your blog to take a back seat for a few months, a year even, you're not less dedicated, you're just finding it hard and that is okay. I have finally begun to get back on schedule with my university work, I finish Thursday of this week then I have some essays due, most of which are well underway or finished at this point and so I have enough time to focus on my passion again. I can put my creative juices and my love back into blogging and not let my university fall behind either. For some people it can be easy to juggle, for most, it is not and that is perfectly okay, you're not super(wo)man, you are learning to find your own schedule, your own way of working. I never stopped posting for any length of time, I just allowed myself to focus less on blogging than I would have liked to, but with straight As, how can I possibly say it was a bad thing? I just wanted to give an honest and open run-through of how I have found juggling my blog with my university work. It's not easy and maybe if I tell you how difficult I found it maybe you can feel less alone about your struggles. I am not saying the authors of posts on how to juggle are liars, I love that they are trying to help others, I just find it hard to believe that of all of the fellow bloggers who study or work full-time alongside their blogs I am the only one to have completely hit a dead end and feel like my blogging life was falling apart around me. We all struggle, it is part of what makes us human. So let me know if you're finding it difficult too or leave me a comment of some things that make it easier for you. Does Being Jealous have to be a Bad Thing?